WizKids posted another double-preview for the upcoming Trinity War set with a look at Firestorm and Deathstorm. I know with the cold temperatures here in the Northern Hemisphere this past week, we could certainly use someone like Firestorm here in the office. Maybe even make s'mores or something. Today we bring you another preview from the upcoming DC HeroClix: Justice League – Trinity War set! 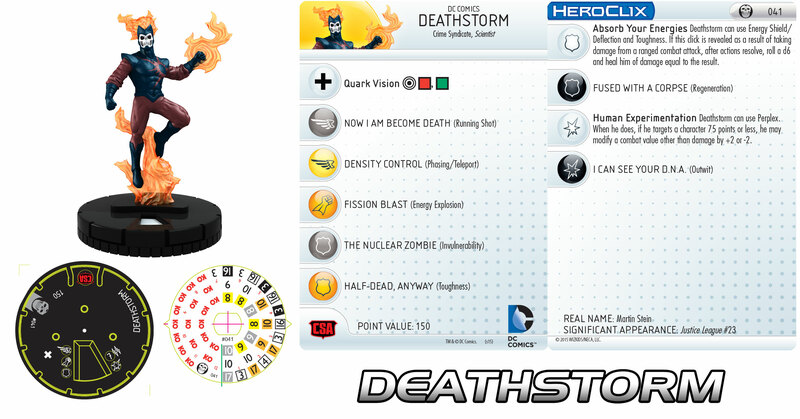 Today we are storming in with two great characters, Firestorm and Deathstorm. We’ll start this fire with Firestorm!